Austin prides itself on individuality. We are both counter-culture and cowboy, known for our own takes on music and food. As Jesse Sublett shows in 1960s Austin Gangsters, even our criminals keep it weird. Sublett chronicles the Overton Gang. They were formed around high school football star Tim Overton, who held a grudge against UT coach Darrell Royal for stopping his chances at being a Longhorn. With fellow football player “Fat Jerry” Ray James, he lead a gang of travelling criminals who burglarized banks and muscled in on vice operations all around Texas, using the new highway system to their advantage, with the Capitol as their base of operations. They were bad men in Elvis haircuts and shark fin Caddies, committing felonies at a rock n’ roll pace. When it came to Austin history, they were like gangster Forrest Gumps. They hung out at the same club the 13th Floor Elevators played and brushed up against the burgeoning counter-culture. There is even a tense, armed stand-off between Overton and future U.T. tower sniper Charles Whitman. Sublett uses tons of interviews with the survivors and offspring on both sides of the law. He doesn’t romanticize the gang and doesn’t shy away from describing their brutality, particularly toward their women. However, he does include how some of their victims recall their charming side. He also shows how the methods of overzealous law enforcement almost brought the town back to its wild west roots. Much of the story is told in colorful anecdotes, such as the one about the interaction between a local madam and Overton a few weeks after he robbed and beat her. 1960s Austin Gangsters is a rough, fun ride through Austin’s underbelly during a period of change. Sublett gives us a real world of east side toughs, crooked car dealers, dice men, dogged lawmen, chicken shack patrons, part-time hookers, and elderly brothel matrons. Yep, even when it came to crime, Austin isn’t what it was. 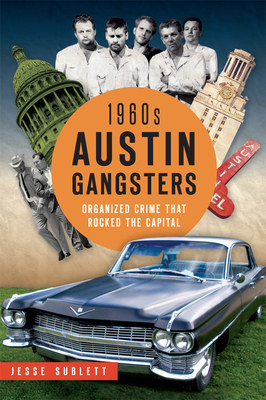 Copies of 1960s Austin Gangsters are available on our shelves now and via bookpeople.com. 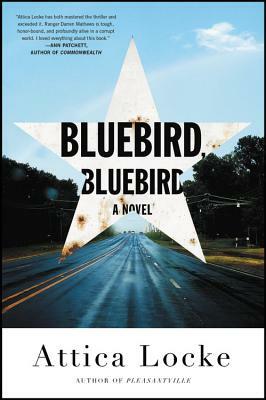 Jesse Sublett speaks about and signs his new book here at BookPeople Monday, March 23 at 7pm. Noir at the Bar Tonight! C..B. McKenzie is the recent winner of the Tony Hillerman award for Bad Country. The book introduces us to cowboy-turned-private eye Rodeo Grace Garnett. McKenzie gives a rough and tumble feel to an unromanticized American west. Glenn Gray’s The Little Boy Inside And Other Stories has been getting great buzz. The tales, which range from crime (especially involving illegal steroid use) to sci fi to body horror, are almost always funny and disturbing. Don’t eat while Glenn reads. Matthew McBride instantly became a MysteryPeople favorite with his gonzo hard boiled debut Frank Sinatra In A Blender. He has received more rave reviews for his intense rural crime novel A Swollen Red Sun. The book deals with the repercussions of corruption in a Missouri county overrun by meth and violence. Austin author and musician Jesse Sublett will perform some of his murder ballads, as well as reading (his latest is Grave Digger Blues) and everyone will be on hand to sign books afterwards. 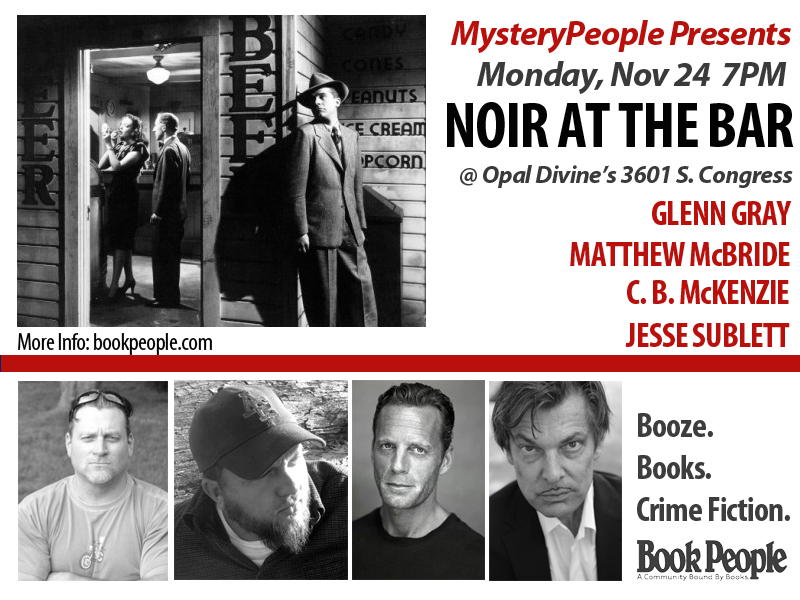 Before you’re put upon by holiday cheer, join us at Opal’s and celebrate the noir side of life. We have the honor of hosting Rob Brunet with Terry Shames this Monday, November 10th. His novel Filthy Rich is getting great buzz as one of the best debuts of the year, combining crime and comedy brilliantly. In this story, originally a part of the anthology Down, Out, & Dead, serves as a prequel to Filthy Rich. Perko Ratwick needed a change in plans like he needed hemorrhoids. He rocked his Harley onto its kickstand and walked to the water’s edge where a man stood fishing. The man grunted and looked at the white bucket beside him. Perko peeked in and saw what had to be half a dozen scaly creatures, gills flapping on the top ones. “These good eating?” Making conversation when he’d much rather knee-cap the fisherman. Four months of planning, a twenty-thousand-dollar down payment so this bugger could set up a suburban grow op, and now he calls to say the deal’s off? No explanation? “Free food.” The man finished reeling in his line, shook a clump of weeds from its green and yellow lure, and cast again. I often get asked about the characters I write about. Where do they come from? Do I know people like that? Often I point to the time I’ve spent in the country as if the whackos populating my stories are somehow representative of the people I know there. If you’ve read what I write, you’ll know that’s unlikely. I’m not sure that makes the reference a cop-out. It’s just incomplete. Not unlike the tropes that drive country music, characters like Perko Ratwick or Terry Miner are painted a tad vibrant on purpose. If I’ve done my work right, they’ll engage my readers’ emotion, yet remain off-kilter enough to amuse. Part of them is anchored in my experience down dirt roads stretching right back to my formative years on a beach upriver from Ottawa. In a lot of ways, I grew up on that beach. My city-kid lens skewed much of what I saw, but by the time I was a teenager, the barriers between the cottage kids and the locals broke down. There’s nothing like sitting on a log around a bonfire drinking underage beer to make everyone equal. Until then, I’d naively seen the local kids—those who lived in cottage country year-round—as the lucky ones. I was oblivious to the boredom afflicting life at the end of the school bus run. Once summer ended and the population thinned to next-to-no-one, these guys had little to do. Breaking-and-entering to them was as common as road hockey to my pals in the city: a little wintry fun on a Saturday afternoon. Between that and minor illicit behaviour sprinkled with occasional violence, more than a few of them experienced youthful run-ins with the local constabulary. In fact, if a guy hadn’t been sent to the detention centre at least once by the time he turned fifteen, his friends thought him “slow”. I’m not suggesting petty criminality was universal, but its prevalence was higher than what you’d find in the city. And no one considered it a big deal. I remember sitting round the fire one summer catching up with a friend I hadn’t seen since the previous fall. He asked me whether it was true my father had bought the cottage next to ours—a real fixer-upper my dad purchased as a defensive move when he’d learned the prospective new owner intended to park construction equipment on the property. I told my friend my friend, yes, that cottage was now ours, and waited for the jab about how us city slickers were always buying things up and lording it over the locals. Instead, my pal hung his head just a little and apologized, telling me they’d never have broken into it that past winter if they’d known it was ours. Later, my father told me he’d noticed a few things moved around. More than a squirrel might do. And he shrugged at the idea a few of the local boys had busted in. “There was nothing worth stealing in there anyway,” he said. And nothing more needed be done about it. Another summer, I had a girlfriend up there. Well, for a week or so anyway. Her other boyfriend had gone off on vacation with his wife or something. He left this girl with a case of beer and the keys to a car. She was fifteen. I know my mother was happy that one didn’t last. Come to think of it, so am I. Country had a way of aging people different from the city. More than once, I was surprised to learn someone was two or three years older than their apparent learning or behaviour would suggest. On the other hand, a lot of them had full-time jobs and something passing for real responsibility before they’d reach the end of high school. I’m sure I could have found parallel worlds in the city and the reality is, I sometimes did. But something about the directness of life in the country stuck with me. It resonated in positive ways, and now finds its way into my writing. The characters in Stinking Rich may seem a little warped from an urban standpoint, but I trust their connection to their setting rings true. Copies of Rob Brunet’s book Stinking Rich are on our shelves now. He will be in-store speaking and signing Monday, November 10 at 7PM. 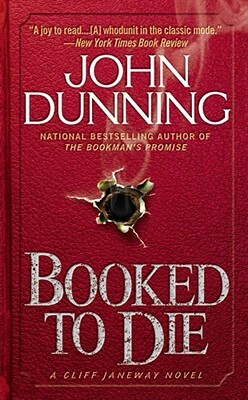 Pre-order your signed copy via bookpeople.com! Were happy to host Terry Shames on Monday, November 10th at 7PM, along with Stinking Rich author, Rob Brunet. Her latest, Dead Broke In Jarret Creek, pulls her hero Samuel Craddock, back into his job as Chief Of Police when his town goes bankruptcy. It also looks like a murder is tied to the bankruptcy. We caught up with Terry to talk about the new novel. MysteryPeople: Had you planned to bring Samuel back as chief? Terry Shames: Not at all. When I started thinking through all the ramifications of a town going bankrupt, I realized it was perfect for Samuel to step in. He doesn’t need the money, and he has the experience of being a chief of police, so what better solution? MP: What do you think makes him take the job? TS: In my mind, he never hesitated to say yes. The easy answer to your question is that he knows that taking the job provides a quick solution to a daunting problem. He feels a sense of responsibility for “his” town. But digging deeper, there’s more to it. After Samuel’s wife died, he was at loose ends. As Jenny Sandstone said in A Killing at Cotton Hill, the book that introduced Samuel, he’s too vigorous a person to be satisfied with tending his cows all day. It’s important that he have a mission that engages him physically and mentally. He knows he’s good a keeping the peace and at figuring at solutions to criminal problems that arise in the town. MP: Much of the plot of Dead Broke In Jarrett Creek revolves around the town’s bankruptcy, Is this occurrence more common than we know in small towns? TS: During the economic downturn that happened in the early 2000s, several towns, large and small, went bankrupt across the country. I don’t really know how many. But when I read about them, what struck me is that many of the economic problems of the towns seemed to stem from mismanagement. I thought it would be an interesting problem to write about, since it meant not having enough money for basic services, like police. MP: This book seems to have more humor. Were you looking for more levity after telling a somber story like The Last Death Of Jack Harbin? TS: It wasn’t intentional, but you’re right, it’s a lighter book. I actually think there was a fair amount of humor in Jack Harbin, but it is definitely darker. In Dead Broke in Jarrett Creek I enjoyed the humor and the little twists and turns of the plot. I just turned in the fourth book in the series to my editor, entitled A Deadly Affair at Bobtail Ridge, and it is very dark. So it looks like maybe I’m into a rhythm of alternating between writing a light book and a dark one. MP: I really like Bill Odum, the part time lawman who helps out Samuel. What does he provide our hero other than back up? TS: He’s a fresh, young face of law enforcement. He provides an opportunity for Samuel to teach someone what he knows about the town and the difficulties of murder investigation. At the same time, Odum knows some new tricks that Samuel doesn’t know. I also like Zeke Dibble. He’s more jaded than Samuel, but he’s willing to put in his time. MP: The Samuel Craddock books have such an authentic Texas feel. What do you want to get across about your home state? “Many writers dive straight into coarse comedy when they create stories set in rural Texas. Their 21st-century cowboys race about in gun-laden pickups. They drink and brawl in bad-news bars and feast at chicken-fried restaurants where waitresses plop down world-weary wisdom with each side order of cream gravy. Copies of Dead Broke in Jarrett Creek are now available on our shelves. 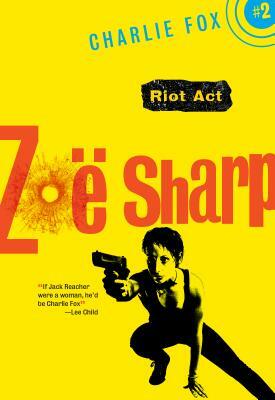 Terry Shames will be at BookPeople with Rob Brunet on Monday, November 10 at 7PM. Pre-order your signed copy today! For November, we have three paperbacks for fun and affordable reading as the cooler weather settles in. Now, the Jack Carter trilogy is fully restored by Syndicate Books with this novel appearing for the first time in the States. This time, the London mob enforcer is tricked by his employers into being the bodyguard for an American Mafia boss at a Spanish villa. Throw in two beautiful women, one the wife of Carter’s boss who he’s seeing on the sly, and expect a lot of scheming and shooting under the sun. A holiday tale for the hard boiled set. In 1951, two World War Two vets are sent out into a December blizzard by a small town crime boss to rob an armored car. The money, mishaps, and presence of a female park ranger make for a great retro crime novel. Boyd, a Ohio police officer, knows his cops and criminals. One of the best from this annual edition. One feels the presence of guest co-editor Laura Lippman’s sensibility in this great range of contemporary crime fiction that leans toward the character driven. There are stories by MysteryPeople favorites like Megan Abbott and Dennis Tafoya, as well as work by general fiction authors Annie Proulx and Russell Banks. Austin author, Ed Kurtz, has a story as well. A great stocking stuffer. Fuminori Nakamura is part of a new generation of Japanese detective novelists known for their spare prose and dark explorations of alienation in modern society. His novel, The Thief, was his first to be translated into English and won prizes all over the world for its terrifying beauty and relentless pace. His latest novel, Last Winter, We Parted, is our MysteryPeople Pick of the Month for November, and for me, this is a perfect novel for a Texas November. I recommend reading it at a coffee shop at twilight when the chill finally begins to settle in – at such impersonal thresholds much of the book takes place. Last Winter, We Parted is structured as interviews, archives, and letters – the notes for a book that a young journalist has been assigned to write about a notorious serial killer on death row. The murderer, Yudai Kiharazaka, was renowned as a photographer before becoming fixated on life-like dolls and later, burning models alive to get the perfect photograph. The journalist soon finds an intense connection with Kiharazaha’s sister, Akari, and begins to discover that in Kiharazaka’s case, things are not what they seem. Nakamura has crafted a noir Heart of Darkness; Kiharazaka warns the writer early on that by listening to him, he may take on some of the killer’s morbid fixations. As the journalist learns more about the killer and his sister, Akari – about, as Nakamura phrases it, their “true selves” – his own self become subsumed and taken over. The young journalist’s arc is shaped as a warning. By spending time too close to a psychopath, the writer takes on some of their thoughts and compulsions, most dramatically expressed in the journalist’s growing interest in Kiharazaka’s sister, Akari, also an object of unhealthy attachment to the killer himself. As the writer becomes entangled in the distorted lives of brother and sister, abandoning his professionalism to get closer to the object of his unwholesome infatuation, the serial killer and his sister, in turn, delight in bringing out the darkness hidden within the minds of those fixated upon them. Like Hannibal Lector, Yudai and Akari believe in quid pro quo. This is a novel concerned not only with solving a crime, but in understanding our darkest impulses. In that sense, Last Winter, We Parted evokes Truman Capote’s In Cold Blood and the genre of true crime in general. Nakamura references In Cold Blood throughout the novel, and the book is in some ways a tribute to Capote while also a warning against mirroring Capote’s actions. The novel both warns against the psychological effects of spending time trying to get into the head of a murderer, and condemns the hypocrisy of judging the actions of another while also using their crimes as a mass object of fascination. Nakamura delves deep into the unsettling motivations behind societal obsession with the mind of a serial killer. In the novel, as in real life, there is no easy separation between those who commit crimes and those who spend their time learning about the crimes of others. Kiharazaka’s crimes also serve as a metaphor for alienation in modern society. Kiharazaka’s fixations represent an attempt at basic human connection, warped by the photographers lens, the purchase of lifelike simulacra in the form of dolls, and other ways of simulating and disrupting connection with the real through the use of the artificial. Fuminori Nakamura brings to mind the haunting elegance and sordid conspiracies of David Peace, and like the best exploitation movies, blurs the line between poetry and violence. The characters Nakamura portrays are trapped – caught by their obsessions, their fantasies, and their addictions in an endless web of repeating behavior and insincere apologies. They can’t even quit smoking, much less control their other, more violent unhealthy impulses. Nakamura’s writing is as psychologically astute as it can be while also representing a vision of the world twisted and screwed, without joy or happiness. In other words, Last Winter, We Parted is the epitome of literary noir.